Peter Young took this photo on 4th September 1973. 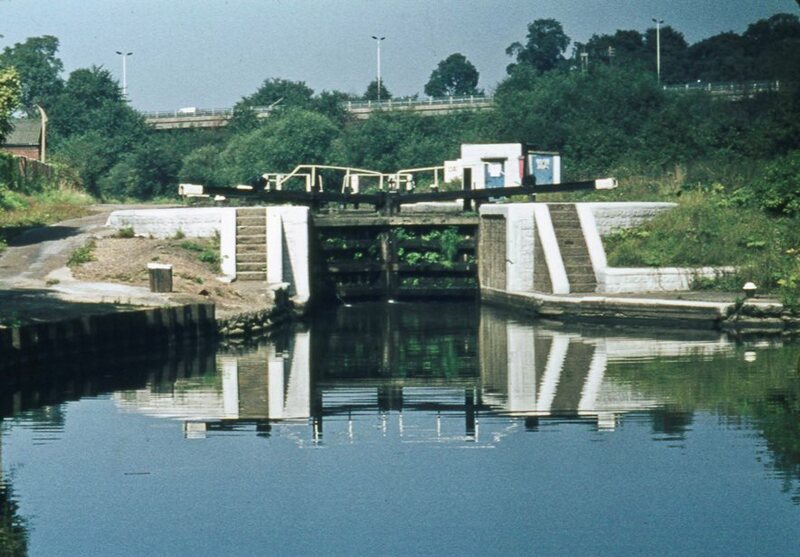 Clitheroes' Lock, named after the Clitherow family of nearby Boston House (read more), was one of the first locks constructed on the Brentford section of the Grand Union Canal; the winding river Brent heads off to the right of the lock just out of shot in this view. The lock is number 99. To the right beyond the Brent is Boston Manor Park, behind is the Great West Road and the M4 can be seen ahead. Probably not a quiet spot then.